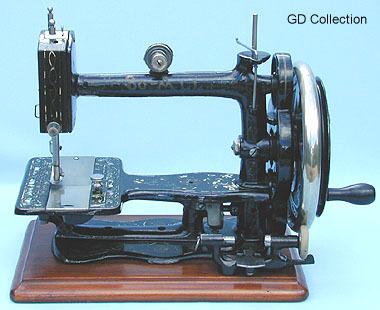 Collectable sewing machine - The "So-All" (1). Named the "So-All", this British 19th century lockstitch featured an elaborate needle-feed system. This particular early example has a fully japanned and gilded needle bar head, whereas later and slightly more common versions had a nickelled finish instead, see here.